This entry was posted in Site Related and tagged Sustainable Beekeeping, Top Bar Hive, Warre Hive. Bookmark the permalink. One of these days I’m hoping to keep bees. I became interested in them after making candles out of their wax. I don’t have a lot to invest and really appriecate your Warre plans that you have available for folks to incorporate into their supplies. If you have time could you please give me some leads on keeping bees. Thank you. Mike – The best way to start learning how to keep bees is by reading everything you can about them. For starters, I recommend browsing the Links page. 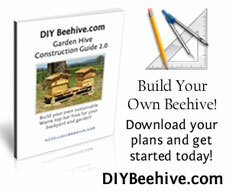 Also, you can download the Quick Start Guide to Natural Beekeeping here. Learn from other beekeepers in your area and always keep an open mind. Be always willing to always learn more about the honeybee, and you will be a good beekeeper.